Recently I copied the idea of a top ten actors list from Fernando from Committed to Celluloid and Abbi from Where the Wild Things Are and now I’m back and stealing from them again but with the women this time! As before to help narrow my choices down I have used actresses who are still alive and working and who are both excellent actors who can turn out great performance after great performance, but who can also transcend their mediocre films to provide something worth watching. Also, make sure to check out Fernando’s list (here) and Abbi’s (here) before you leave! What’s to love? She’s an exceptionally strong actress who first truly impressed me in Notes on a Scandal, but who has delivered complex and intelligent performances throughout her career. The one I still really need to see: I’m Not There. What’s to love? 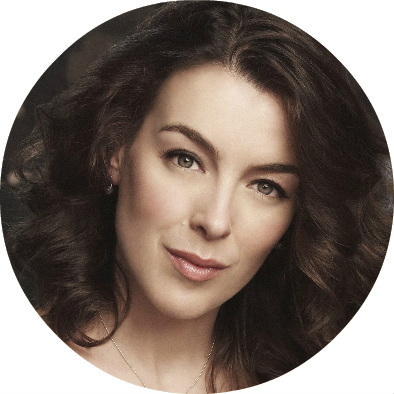 I think she is the strongest actress working today and often competes with another on this list for being my absolute favourite female actress of all time. Her performances are almost always stunning (Except perhaps her death scene in The Dark Knight Rises) and she must have the most expressive eyes in film today. Best role? Rust and Bone. The one I still really need to see: La Vie en Rose. Best role? Notes on a Scandal. The one I still really need to see: Shakespeare in Love. What’s to love? She’s proved herself as being a very diverse and accomplished performer with a range of films under her belt such as Lost in Translation and Captain America: The Winter Soldier. It’s impressive that she can navigate a film such as Translation as well as she does, but what’s more impressive is how she can go from roles such as that and make the transition into being a genuine action hero. Best role? Lost in Translation. The one I still really need to see: Her. What’s to love? She is the actress I normally describe as being my all time favourite and who is occasionally jostled by Marion Cotillard. She is an incredible actress who seems to throw herself into any and every role… it’s insane that she has yet to win an Oscar. Best role? That’s too tough a question… there are an awful lot of great ones but I’ll pick Boogie Nights as it was one of the first times I ever saw her act. The one I still really need to see: Far From Heaven. What’s to love? She’s got a lot of potential and a huge dollop of charisma and talent. I really want to see where her career takes her as she has proved that she can handle comedy, drama and also blockbusters with The Amazing Spider-Man 2 – a career highlight in my opinion. The one I still really need to see: Magic in the Moonlight. What’s to love? Her down to earth attitude, her fantastic talent and the fact that she just seems like a really great person. Best role? It’s perhaps a controversial choice but I love her in Adaptation. 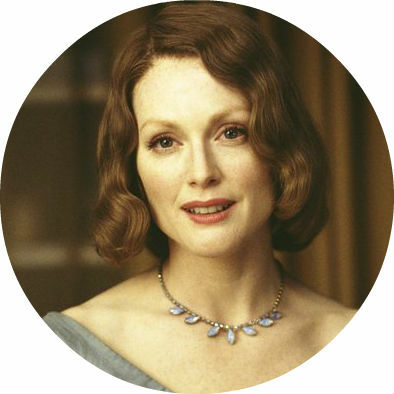 The one I still really need to see: The Hours/Sophie’s Choice. What’s to love? She’s an extremely exciting performer whose unusual looks and strong talent always make for interesting roles to seek out and study. The one I still really need to see: We Need to Talk About Kevin. What’s to love? She’s a really brave performer who seems to consistently give committed and intelligent performances every time. She took on Marilyn Monroe and was successful, that’s quite an achievement. The one I still really need to see: Synecdoche, New York . What’s to love? She turns up all over the place and puts her stamp on whatever character she takes on. Also it’s nice that she isn’t afraid to go between projects such as The Sixth Sense and Dollhouse. Best role? I actually really like her small role in An Education. The one I still really need to see: Maps to the Stars. So, how do you think I did this time? Let me know in the comment box below! Hurrah for including three of my all-time favorites – Marion Cotillard, Julianne Moore and Scarlett! Have you seen Julianne in Don Jon? No I haven’t actually, I really want to. Do you recommend it? Oh great! I know about Scarlett as I like JGL too so this sounds very good! I’d be curious what you think of it once you get to see it. I’m sure I’ll do a review! Dude, I am in love with your list, and again I’m so glad we share some picks. You REALLY need to see Cate in I’m Not There (just wow). 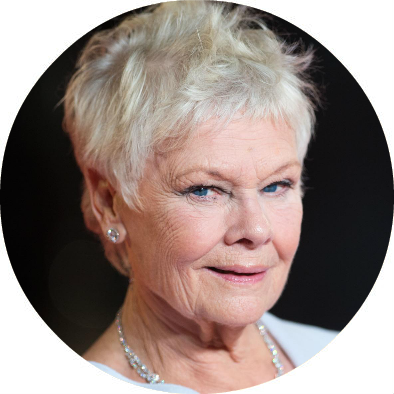 Judi Dench almost made it into my list. I love her. She is ALWAYS solid. Marion is awesome (agree on TDKR, though) and you need to drop whatever you’re doing and see her in La Vie en Rose. She is perfection in that. I think Julianne is a fantastic actress but I don’t like it when she cries, lol! I know it pained me to put that I hadn’t seen those films on here… I own La Vie en Rose and yet still haven’t put it on! Perhaps now I’ll finally do it! Great list. Makes me want to make my own. For sure have to have Streep on mine. Thanks, that’s good to hear. You should go for it! I do have a “My Favorite People” page you could check out. It’s men and women that I love in almost everything that they do. Just checked it out and there are some cool people there! Thank you! That’s great, you should do one! Glad to hear Emma Stone getting some praise, I can’t wait to see what she does over the next few years. She certainly seems to! I have heard nothing but good things about her in that one and it’s impressive if she steals it from all of that cast! I can’t agree with Emma Stone (not a fan of that spiderman reboot), but the rest of the list is top-notch 😉 Great list here! Shame to hear that you’re not a Stone fan but glad that you like the rest of the list! I would agree that the reboot has a few problems, but Stone isn’t one of them in my book. A superb list! Meryl Streep has to be my favourite but will be checking out some of the others in films I have yet to see. Meryl Streep is fantastic – you need to get on and see her in The Deer Hunter! Yes I must. Can’t believe I still haven’t seen that film! Great choices. Glad to see Julianne Moore in there. Thanks, there was no way that she wouldn’t make the cut! And now some actress love from Mr Rumsey! Thank you, that’s really good to hear. And yeah I reckon she is on every single list! Hello, that’s great to hear! Ah well I’m not a big Blunt fan so I’ll stick with Williams haha! Great choices, love Cate Blanchett so much. She just gives her all and imbues her roles with such passion. Thanks man, and good to hear you agree about Blanchett! Do you think you’ll do a list? I may do one when I get the chance. Great list here James! Brilliant actresses! Thank you Zoë, I think they are! Ah it’s a shame that she bothers you but glad to hear that you’re on board with the rest! 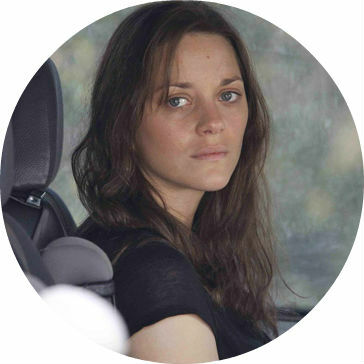 Which Cotillard films have you seen? Well, I guess I’ve only seen her in Inception and Dark Knight Rises. Maybe I’d like her better outside of a villainous role. Lol. Ah yeah, I don’t mind her in Inception but hear you in DKR! 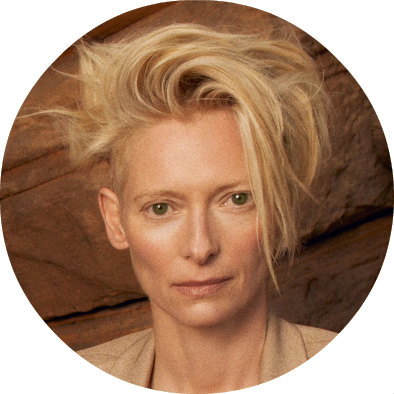 She has so many great roles in things like Rust and Bone and La Vie en Rose! You should check them out at some point! Excellent list! I’m very impressed. Being an older lady, I’m loving that it’s not all just hot young girls. ; ) And the young ones are actually good actresses! : ) I like all of these – only one of these was on my “Annoying List” (Emma Stone – and that’s just because of her voice – I kicked her off after I remembered people like Kate Hudson). ; ) Great list!